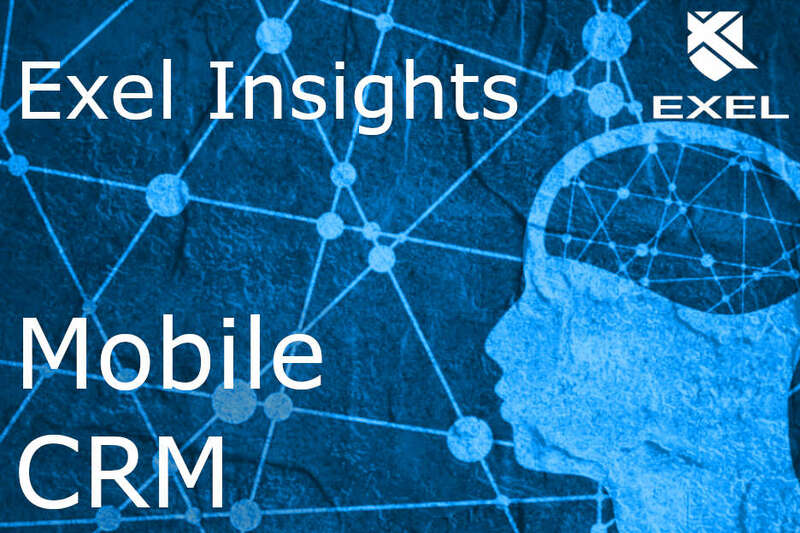 In this 'Exel Insight', we take a look at the benefits available via EFACS' Mobile CRM. Mobile CRM technology has exploded in recent years to become a tool that no business should be without. Since mobile browsing began surpassing desktop searches in 2015, it has become more important than ever for software to be optimised for mobile usage. This is exactly what has been done here at Exel by making CRM accessible from mobile devices. But you may be asking yourself what exactly is Mobile CRM? To put it simply, it is customer/prospect information and contact activity that can be accessed on the go, from mobile devices, anywhere in the world. Because Exel know that your business doesn’t stop when you leave the office. CRM is designed to help you organise, automate and analyse every single one of your business processes which involves your customers or prospective clients. The software is tailored to each individual business’ needs and the services available on your own CRM will reflect your company’s aims, strategies and processes. You may think that your business functions adequately without a CRM strategy, but this technology has the potential to reduce admin time and increase profits. Traditional CRM can revolutionise business, but as mobile usage continues to grow – global internet traffic coming from mobile devices increased from 0.7% in 2009 to 52.4% in 2018 – it is important that businesses can use their CRM services from devices other than desktop computers. Studies have even shown that companies gain an extra 240 hours of work annually from employees using mobile devices for work-related purposes. Not only can mobile enabled CRM increase employee productivity and aid in the sales process, it also helps to keep your customers happy. In the fast-paced, modern world with less time and shorter attention spans, your customers want things immediately. Mobile CRM allows you to provide this, keeping clients content and ensuring that they return, time and time again. 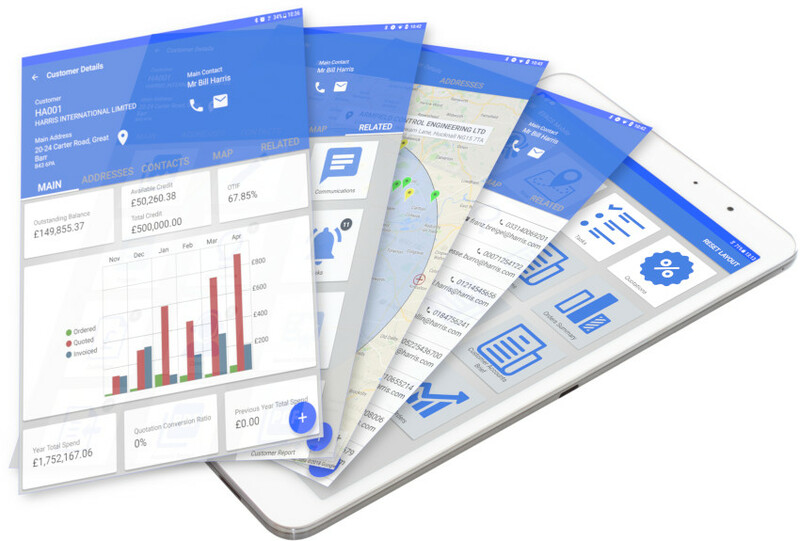 Customer relationship management on the go: EFACS Mobile CRM allows offsite users to transact and report on sales orders, quotations, projects and customer details. Share documents quickly: No more waiting around for documents you need right away. Manage documents immediately with Mobile CRM from Exel. View live information: Stay up-to-date with business information, stats and notifications to help you make informed decisions. Secure, auditable access to back office data: Designed to help you to keep track of transactions past and present and always have access to data requested by clients.